This film is a work of art. 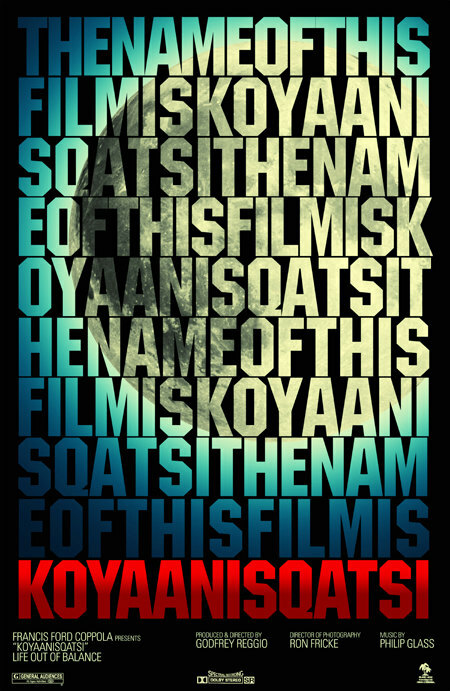 The title of Koyaanisqatsi (1982, dir. Godfrey Reggio) loosely translates to “a life of moral corruption or turmoil”, “chaotic life”, or “a state of life that calls for another way of living”. If I could provide a general summary of this film at all, it would be that of the idea that mankind’s impact on the environment is generally bad. 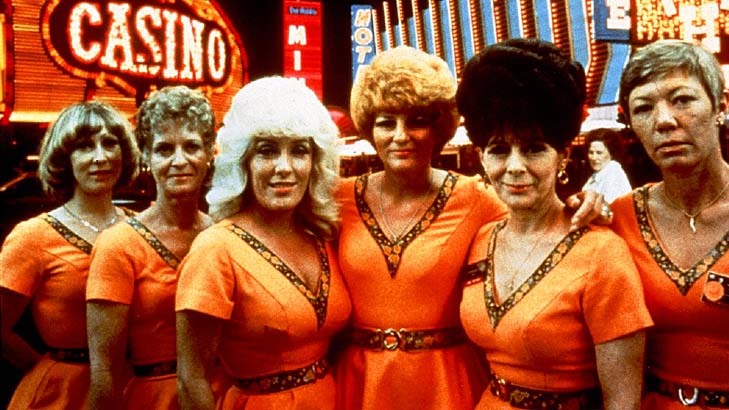 There are strong environmental themes in Koyaanisqatsi, and its journey takes us from the purity of nature to the hectic city life of people, where their destructive industriousness and increasing reliance on technology appears to be detrimental to the earth’s overall wellbeing. There is a clear structure to this film, but it isn’t apparent until you’ve finished watching and are taking in the experience as a whole. 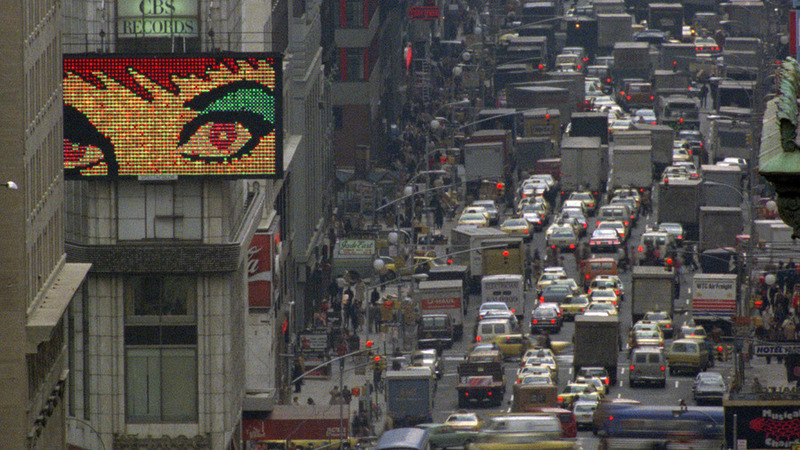 All throughout Koyaanisqatsi we are treated to some of Phillip Glass’s best scores – a rotating, mathematical-sounding masterpiece that mirrors the visions on screen. 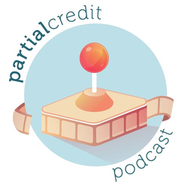 When we see a serene landscape the music is reflective and ambient, but when the action on screen increases in pace or intensity the beat of the music increases and involves more instruments. There is brief singing throughout in the Hopi language from which the title originates, stating “If we dig precious things from the land, we will invite disaster”, “Near the day of Purification, there will be cobwebs spun back and forth in the sky”, and “A container of ashes might one day be thrown from the sky, which could burn the land and boil the oceans”. All these statements are quite intense, which matches the general theme of environmental degradation conveyed in the film. 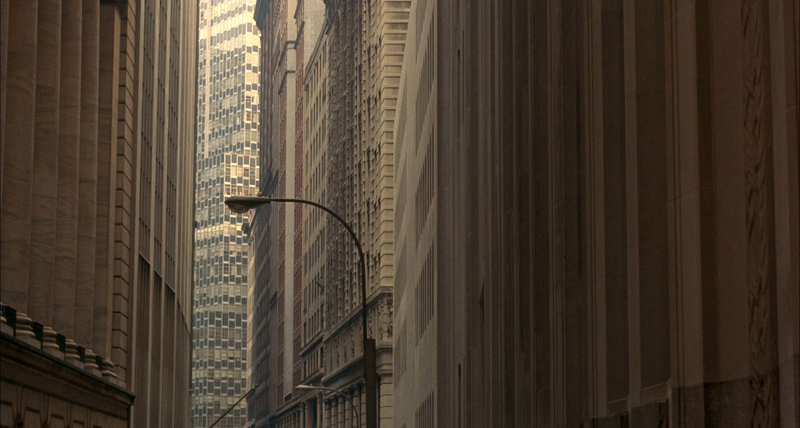 All in all, Koyaanisqatsi is undoubtedly a masterpiece. I firmly believe that it isn’t for everyone, though. For people who can’t handle non-linear, non-storytelling films where the film takes you its own unknown journey, this may cause them to fall asleep. However, I thought this film was a masterpiece of direction, cinematography, and music; not to mention the deft way it managed its themes and ideas. I’m looking forward to seeing the next two films in the Qatsi trilogy, Powaqqatsi (1988) and Naqoyqatsi (2002). This film is an entirely singular experience, and well worth watching if you haven’t seen it yet. I haven’t seen it and can’t even pronounce it, but this is such a good review of a unique cinematic experience, you’ve got me hooked! Thanks heaps Jay! I hope you get to see it one day, it’s an experience for sure. Cool! I love this film, it’s so hypnotic and the images work so well with the score. It gets very trippy in the city if memory serves. Powaqqatsi is excellent too, but I’ve never seen the third one. I’ll look out for your reviews. Yeah, the city parts are super fast paced and trippy, I loved it. 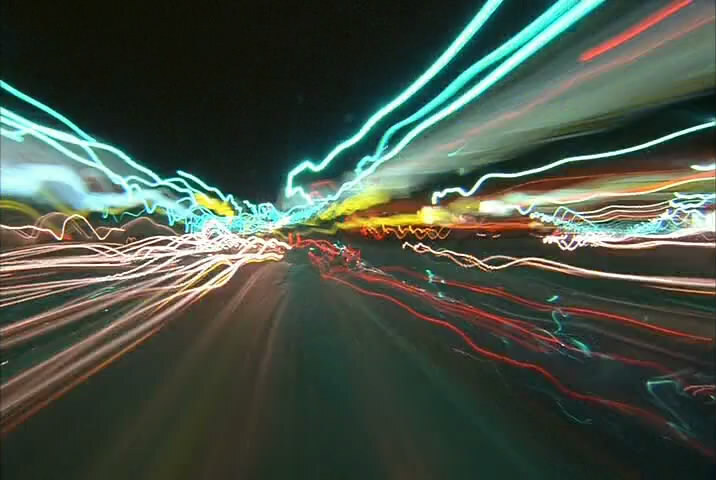 Great use of light and time-lapses! Really looking forward to seeing what the next two are like! All together a great trilogy, though “Naqoyqatsi” relied more on digital and special effects than location shooting. You would likely love similar films that Ron Fricke directed himself, like “Samsara” which came out a few years back. I’ve always meant to see Samsara, as well as some other films along the same vein. Samsara looks gorgeous, one day I’ll cross it off the list! Watched ‘Koya’ and ‘Powa’ when I was in uni and remember them being breathtaking, and barely a week goes by when I don’t think about wanting to watch them again. Also – 10/10 for having Zed in your site’s banner. Properly made me LOL! An absolute masterpiece in my eyes. I was also a huge fan of the second instalment Powaqqatsi but the third just didn’t do it for me. It was too full of digital images. I’d also recommend Baraka, if you haven’t seen it already? It very similar and just as striking. I’ve definitely added Baraka to my to-watch list. One day I’ll see all of the Qatsi-style films!